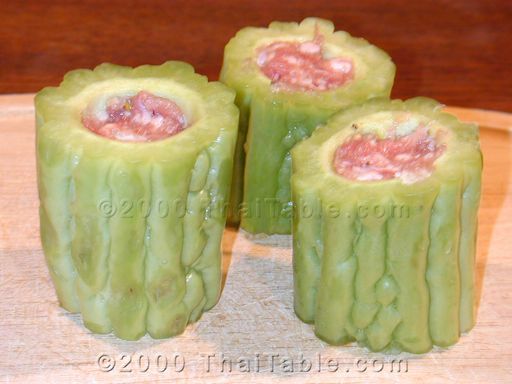 What I love about this soup, besides the taste, is the sculptural quality of the stuffed sections. They look like they should be either at MOMA or on the X-Files. 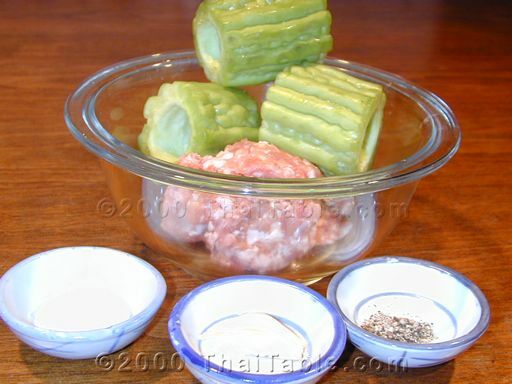 Cut spare ribs can be substituted for ground pork. 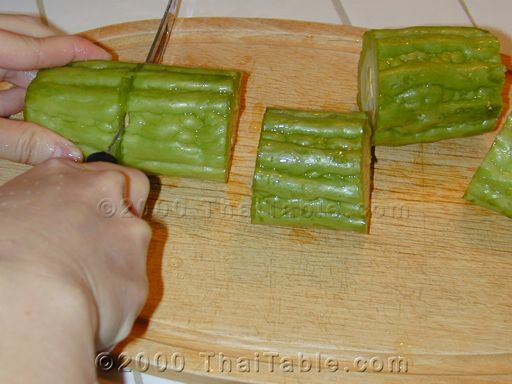 If you do, cut bitter melon into pieces 1" x 2". To make this vegetarian, just omit the pork and add a teaspoon or so of fried garlic. I find it equally wonderful. This is a dish that tastes good today and better tomorrow. 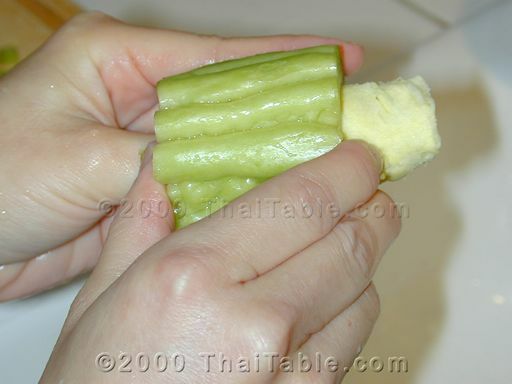 Cut both ends off from the bitter melon and slice it into 3-4 sections. Scoop out the seeds and the white fluff part. Be careful not to break the melon. Mince garlic and mix it into the ground pork. Add salt and black pepper. Mix well. 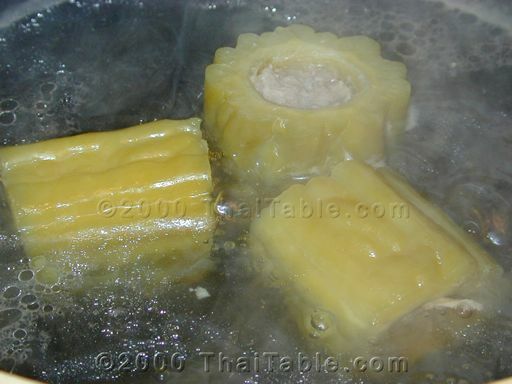 Stuff each section of the bitter melon with the pork. Do not over-stuff the melon. The melon seems to shrink more than the pork when it is all cooked. Add 4-5 cup of water into a pot. 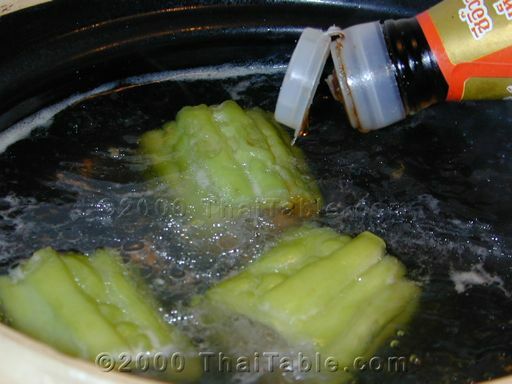 Add the stuffed bitter melon and 2 tablespoons of soy sauce. Let it boil for half an hour. When the melon turns a little yellowy green and soft, it is ready. Serve hot with rice.